Cesc Fabregas may play in the blue of Chelsea, but Tuesday was all white as he finally tied the knot with the mother of his three children, Daniella Semaan. A picture of the newlyweds was posted on Fabregas’ Instagram page, showing the Spanish midfielder – wearing a black tuxedo – guiding his bride through an arch of white flowers at Cliveden House in Berkshire. Semaan – the new Mrs Fabregas – looks stunning in a shoulder-less white wedding gown with silver jewellery in her hair and around her neck. 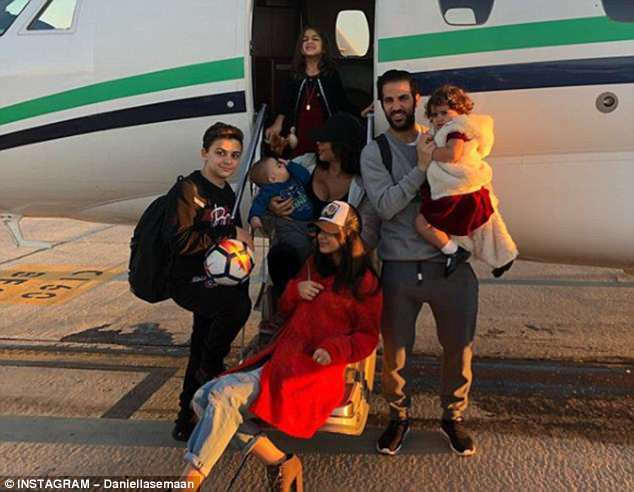 A wedding picture was also posted on Semaan’s Instagram page, of her with her new husband and her five children – three fathered by Fabregas and two from a previous relationship. Semaan wrote: ‘Just married to this handsome man that I adore’, after marrying the man she has been in a relationship with since 2011. 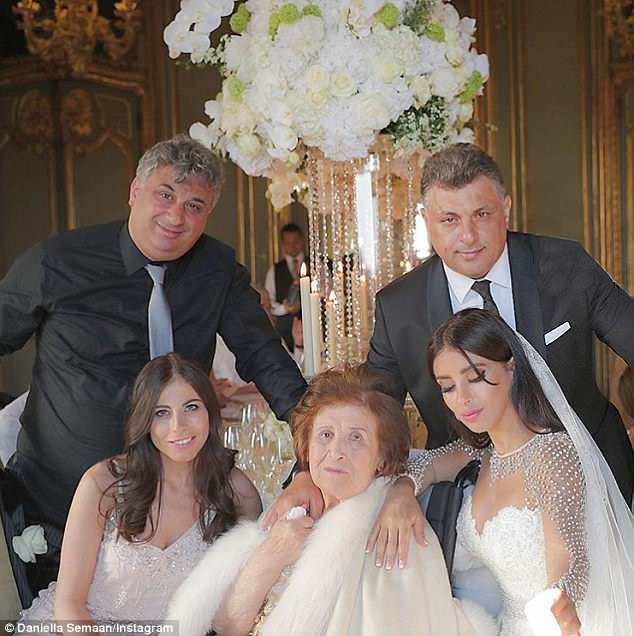 They were joined at the nuptuals by the three children from their relationship, daughters Lia and Capri – aged five and three – and her youngest kid, son Leonardo who has just turned one. Her two older children, Maria and Joseph, from her marriage to Elie Taktouk. 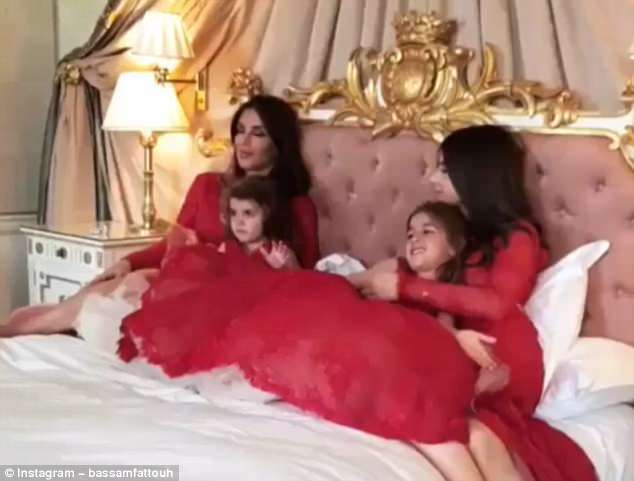 Maria, Lia and Capri were Semaan’s bridesmaids for the ceremony, their mum posting a picture of the four girls, all in red dresses, to social media before the nuptuals took place. 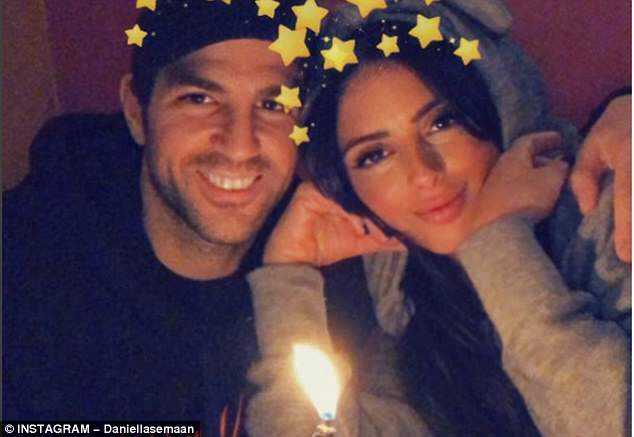 Lebanese-born Semaan, 42, is 12 years older than her new husband, but that has not stopped romance blossoming and Fabregas proposed in December 2017. The pair met in Japanese restaurant Nozomi in London’s wealthy Knightsbridge area. Semaan says she approached Fabregas’ table to ask for an autograph for her son Joseph, and the pair hit it off. 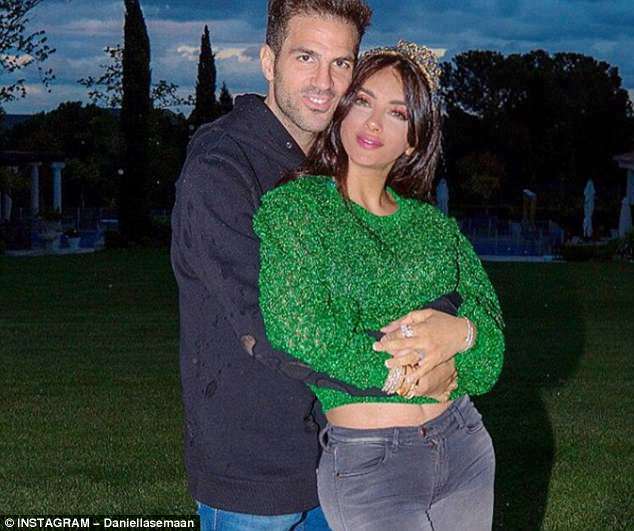 She will hope this marriage is happier than her first to Taktouk, with him alleging that she cheated on his with Fabregas, and took her to court after their divorce over the proceeds of their 13-year marriage, including their Belgravia flat. Eventually, Semaan and Fabregas won the case, and were awarded both the flat and £1.4million. The wedding comes in a rare moment of football-free bliss for the Fabregas family, with Cesc having just finished the Premier League season with Chelsea. The football will resume in around a month however, with Fabregas expected to be selected in Spain’s squad for the 2018 World Cup. The lavish ceremony in the Taplow country house and grounds was put together by wedding planer Pamela Mansour, who also documented events on Instagram to show the scale of her task. One post was captioned ‘gathering the five siblings #missionimpossible’ as attempted were made to get the children – three of them toddlers – into position. 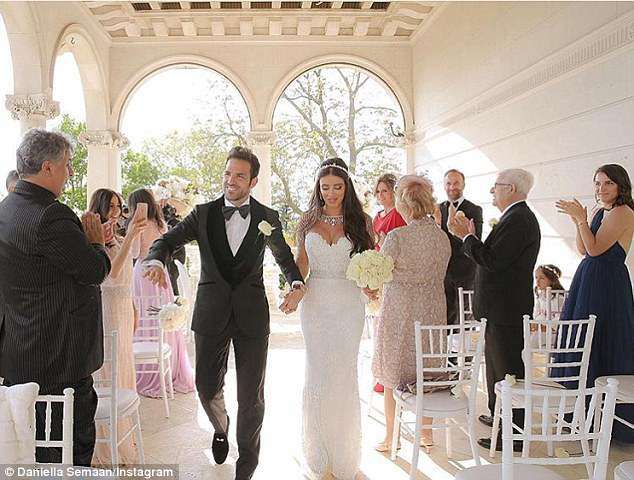 No expense was spared for the Premier League star’s wedding, with packages at Cliveden House priced as high as £370 per adult – although Fabregas, on £156,000-a-week at Stamford Bridge – is more likely to have opted for a bespoke wedding. Cliveden House is based in a gorgeous 376-acre estate, with up to 120 guests permitted for ceremonies and 250 at the reception. 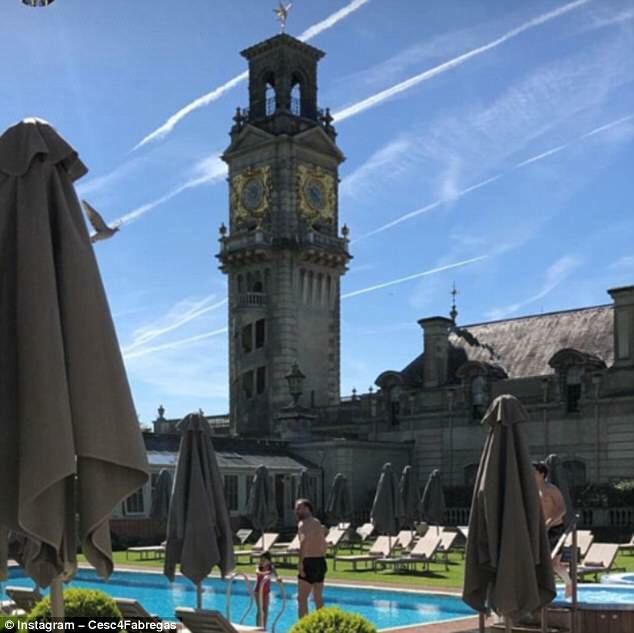 Fabregas and his new wife are not the only ones to involve Cliveden in their wedding plans – Meghan Markle is staying there on Friday night, before her marriage to Prince Harry. The photo featured blue skies and few clouds, as he and his new wife were blessed by perfect sunny weather for their big day. 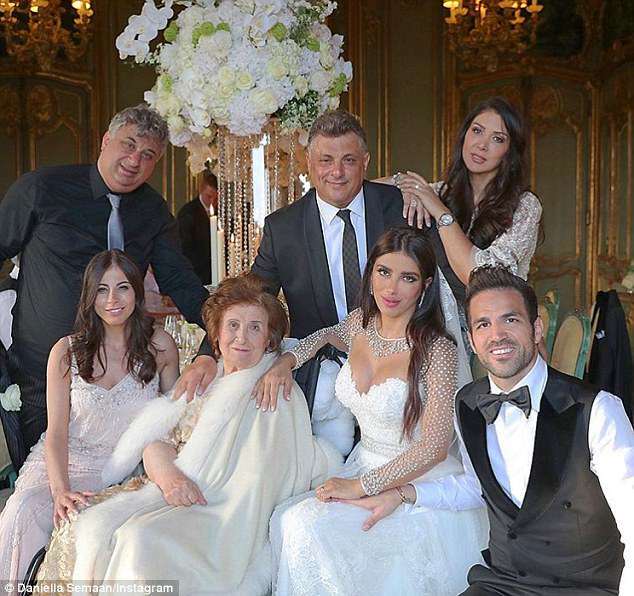 Fabregas also used Instagram to thank the people who helped put the wedding together – photographer Elie Azar, make-up artist Bassam Fattouh, and Rose Clara for designing Semaan’s wedding dress.